I just want to start off by saying how in love i am with these high waisted galaxy print shorts. Yes, i just used the words high waisted and galaxy in the same sentence lol! I have so many fun ideas on how i want to style these shorts for spring that i am actually going to film a video on different ways to style! Get ready for lots of videos coming from me soon you guys because i really want to start being a active you tuber this year! That's one of my many 2013 goals. 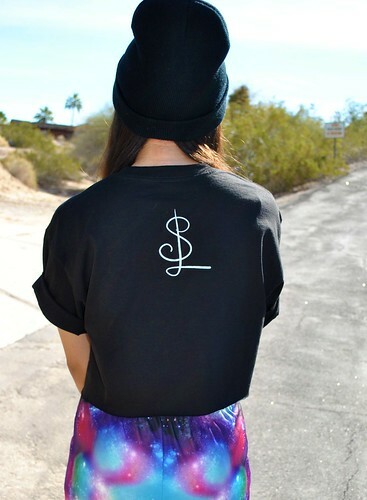 The cute little SLClique crop i'm wearing is from a close friend of mine, clothing line called the SlClique. He's been working extremely hard to get his line up and going and as of right now he has four different t-shirt designs available for purchase! 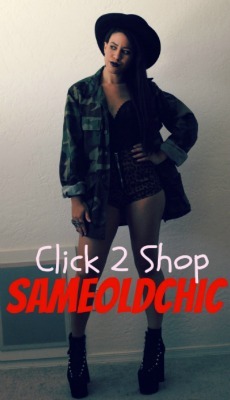 I'm super proud of him and would love if you all would Check out and support the SLClique HERE!!! Freaking amazing. Love, love love the top and the shorts and the shoes! I love the shorts they are amazing! Love the cardi too! Those shorts are incredible! And so great that your friend has set up his own line, I wish him every success! 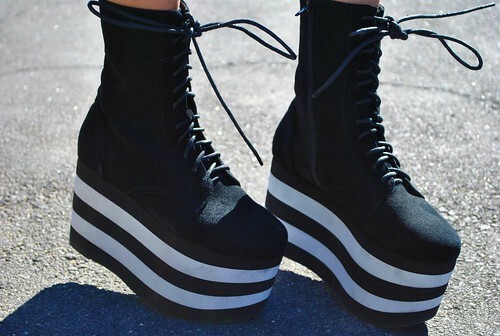 Oh my those galaxy shorts and your platforms are to die for! Great outfit! Those shorts are so so cute. Those shorts are sooooo cool! 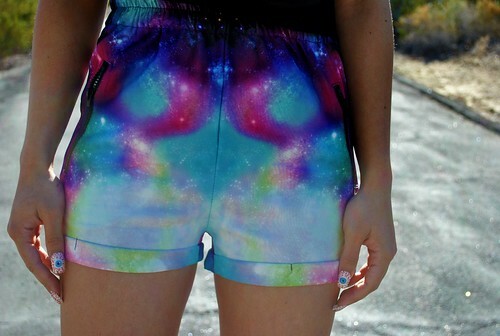 Obsessed with those shorts, I've been meaning to invest in some galaxy print pieces but haven't gotten around to it yet! Duuuude, you'e killing it. I was already in love with the shirt with the shorts and I scrolled down and your choice of shoes couldn't have been any better. Excellent, chica!